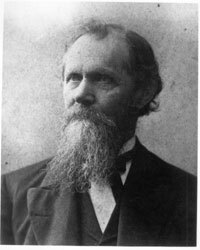 Recruited from McKendree College in Lebanon — among the state’s very first institutions of higher learning — Allyn was inaugurated July 1, 1874, as president of the then-Southern Illinois Normal University. At the time, the university was only the second public school in the state devoted to teacher preparation. A contemporary and co-worker of education trail blazer Horace Mann, Allyn , 57, brought a wealth of teaching, administrative and legislative experience to SINU. The University’s mission, according to an inauguration day speech, was to prepare public school teachers capable of ensuring “…the child of the poor man shall not only have instruction that is free but instruction that shall be as good as the wealthiest can buy.” Allyn led the University throughout its formative years before retiring in 1892. Today, the School of Art and Design occupies the building that bears Allyn’s name.